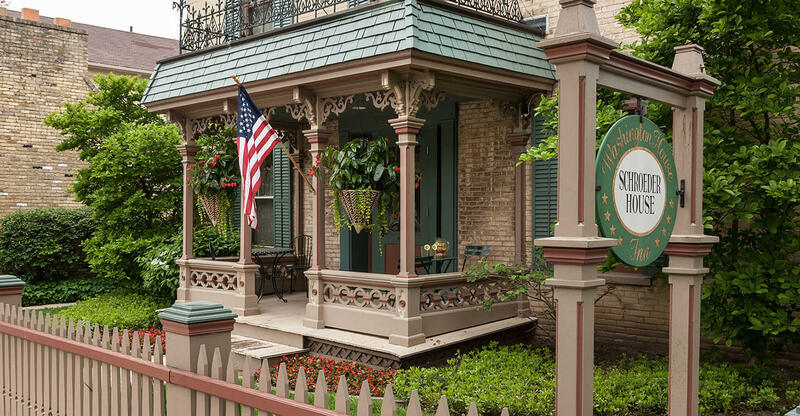 Our historic Inn offers luxurious lodging near Milwaukee, WI. The Washington House Inn was Cedarburg, Wisconsin’s first inn, founded in 1846 by Conrad Horneffer. 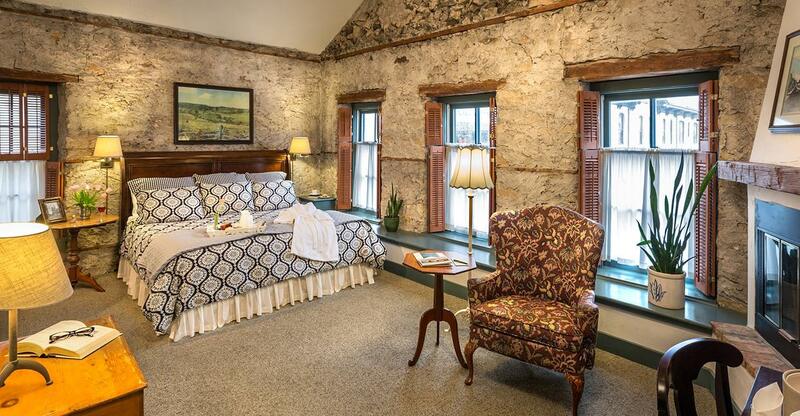 It is now home to 34 incredible guest rooms with beautiful original details, and offers modern luxuries like Whirlpool tubs and fireplaces, perfect for romantic getaways. Washington House Inn was founded in 1846 by Conrad Horneffer. Born in Germany in 1815, Horneffer emigrated to the United States in 1836 after learning the saddler’s trade. According to a book written about the city’s history, Horneffer came to Milwaukee in 1843 and fashioned the first leather trunk ever made there. He later settled in Cedarburg, built the Washington House and opened the first harness shop. The original wooden structure was later replaced with the current Washington House Inn in 1886. This three story, cream city brick building operated as an inn until the 1920’s, when it was converted to retail stores, apartments and meeting rooms for the Knights of Columbus. In 1983, the building was purchased and renovation began to convert the building back to an inn. After a complete overhaul, the inn reopened in 1984 with 15 rooms. 14 rooms were later added above the Chocolate Factory restaurant and Amy’s Candy Store. In 1994, the Schroeder House was purchased with five additional rooms added. The first recorded settler was Ludwig Groth (Rm 304’s namesake), who made his home on the banks of the creek in 1842. 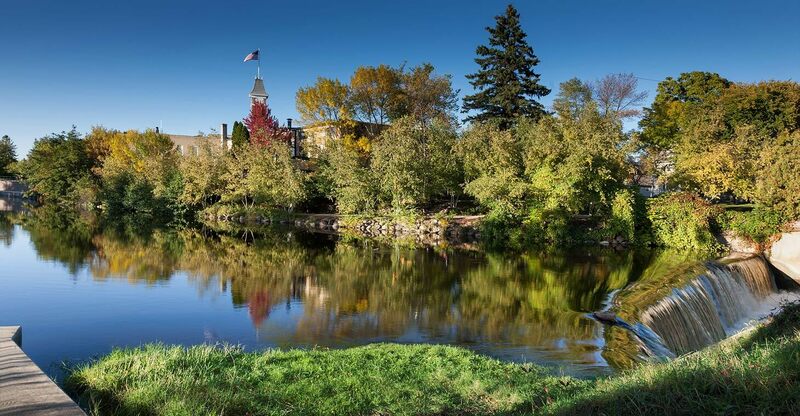 Two years later, Fredrick Hilgen (Rm 305’s namesake) and William Schroeder (Rm 205’s namesake) bought land from Groth and built a grist mill, which remains a prominent fixture of the Cedarburg Wisconsin skyline today. German and Irish immigrants were lured by the power-producing potential of Cedar Creek in the early 1840’s. As Cedarburg grew and prospered, none of its original charm was lost. Thanks to careful preservation of the city’s original structures, the historic downtown looks much the same as it did a century ago. Cedarburg has two separate districts listed on the National Register of Historic Places, with more than 200 buildings of historical significance. These structures remain in use as shops, homes, museums, and of course our own beautiful, cream city brick Inn. Almost one hundred and twenty buildings in the quaint downtown of Cedarburg have historic significance and are preserved with a great deal of pride for the community’s heritage. Each building has its own history, and visitors are welcome to explore the many buildings still in use as business establishments. 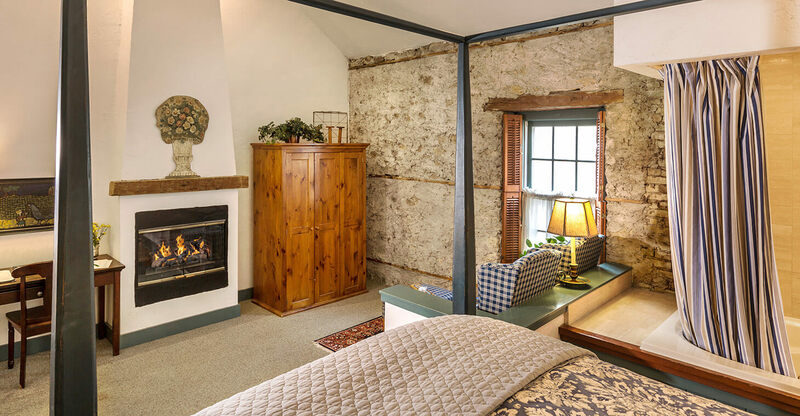 Each room at our Cedarburg Wisconsin Inn is named after a settler. Click below to see the corresponding room of that local native.